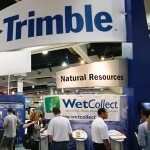 Big trade shows and conventions are the perfect locations to get brands recognized. Setting up for these shows isn’t always easy though. Beyond the expense involved in creating exhibits, most companies also face logistical issues when it’s time to transport their booth materials to convention locations. This is where a provider of exhibit rentals in Las Vegas can save the day – and the budget – without making a company compromise when it comes to display impact. When Mobius Exhibits is your convention partner you’ll gain the benefits of a visually impactful, effective display while being able to forego logistical concerns in the process. Our options for exhibit rentals in Las Vegas put you and your brand in the driver’s seat in calling the shots on such factors as display design and configuration. Plus, you get to benefit from the convenience of not having to transport exhibit materials across the country. We take the logistical worries off your shoulders while saving you the expense of purchasing your own display outright. If it’s time to prepare for a big event or convention, Mobius Exhibits is poised to be your partner. Just give us a call today to find out how our Las Vegas exhibit rentals can make your next event a breeze to coordinate.